Having the option to purchase or rent a used exhibit can greatly extend your budget. Learn how Blazer Exhibits can analyze and help you make the right decision for your upcoming shows. When your marketing budget is tight, tradeshow booths might not be on the top of your list. Yet, not attending a tradeshow can be a huge mistake, since it means missing out on lots of potential clients. 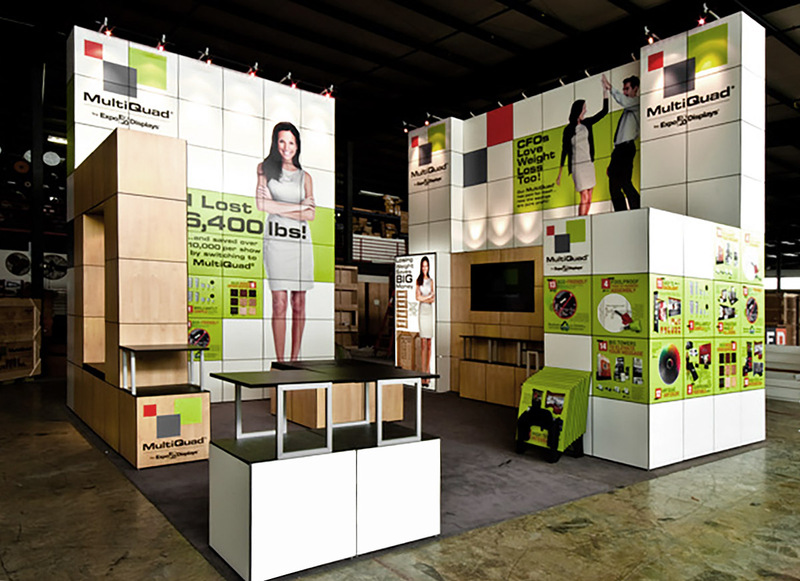 If buying a new trade show booth isn’t in the cards right now, there’s still a viable option: used trade show displays. As with anything else, there are definite benefits and drawbacks to deciding on used exhibits. Here’s a closer look. Cost: the cost of purchasing a used trade show display is a lot cheaper than buying a new display. There’s a lot that goes into buying a trade show booth, and costs that add up can include anything from consultation fees to custom design work. Cutting these fees out means saving a bundle. Large Selection: since there are so many different types of booths to select from, any company selling used trade show displays will likely have hundreds of options to browse through. You don’t have to spend any time creating a booth from scratch when so many different choices are available. Customization Options: if you think that buying a used tradeshow booth means eliminating any custom choices, think again. A really good tradeshow design company can still customize any used booth that you choose. All you need to do is find the right company to work with, and we can help you there! A Greener Choice: reducing, reusing, and recycling aren’t just for everyday home items. When you choose to buy a used tradeshow booth, you’re selecting to recycle a booth that already exists. In short, you are doing your part to make sure that the environment is kept intact. Plus, you can tell your clients that you are running an eco-friendly business, and that’s always a popular selling point. As you can see, there are some excellent reasons to go the used booth route. But, there are also some drawbacks worth considering before you decide to buy a used display. Wear and tear: the biggest drawback of buying a used booth is that these exhibits have been used a lot previously, and that could mean that the one you choose won’t last as long as a new option. Check with the company you are buying your booth from about warranties too – some used booths may not be guaranteed any longer. Color constraints: you can certainly customize any used tradeshow booth, but you can’t easily change the color of an exhibit that already exists. So, you may be limited where color is concerned. Restructuring difficulties: customization is an option but actually changing the physical layout of a booth that has already been made isn’t easy. If you are seeking a really unique design of some kind, you may not be able to get what you want in a used booth. This is a consideration worth think about carefully before going the used route. Buying a used booth shouldn’t mean that you are restricted when it comes to selection or personalization options. But, you do have to choose the right retailer. If the retailer you are considering can’t do what you need or doesn’t have a large selection of used booths to choose form, it’s a good idea to look elsewhere. It’s also important to ask about the quality of the used booths and try to get some kind of guarantee on what you are buying. If you do want to purchase a used trade show exhibit, call us today and we’ll find you a low cost option that you can really be proud about buying. Should you buy a used display or look for a new one? That choice is yours, but it’s important to weigh the pros and cons carefully before choosing either option. In the end, not having a booth display at all is a much worse choice than selecting something that’s used or not exactly what you had in mind, but there’s no need to settle for subpar if you buy your booth through us. Whether new (we can work with any budget) or used, we can help you find the right display for your needs. Give us a call today, speak with one of our reps, ask us about our used booths, and see what we have in store for you. 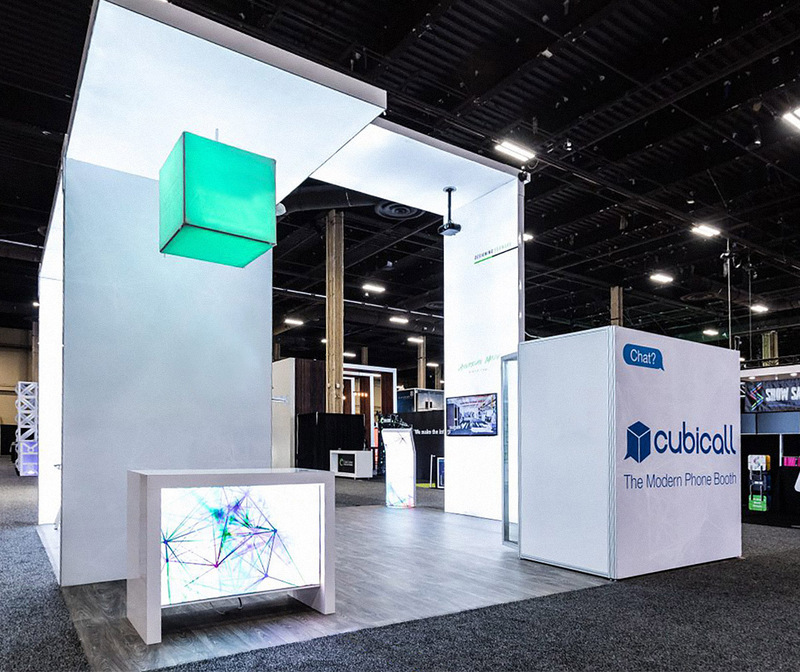 When it comes to tradeshows, there’s no better place to go, and we’re more than happy to help you find the right display solution for your next tradeshow. Which option will you choose?